Alec Solemslie found WSU through a press release talking about the reinstatement of the forestry program. In high school, Alec Solemslie was asked to research careers in the natural resources field for an assignment. On a whim, he chose forestry, and didn’t think too much beyond finishing the project. Years later, when he started researching universities, he happened upon a press release that mentioned Washington State University would be reinstating its forestry program. Alec thought back to his high school project. He dug up information on WSU’s preexisting forestry program as well as programs at other universities and realized there were far more facets to forestry than he could have imagined. In addition, although he’d initially thought of attending a larger university, Alec chose WSU because he thought it would give him the chance to be an individual, to have a voice, and to connect more easily with others. Alec grew up in Big Lake, Washington, a picturesque region of the state that encompasses Anacortes and Mount Vernon. As a boy, he wasn’t sure what he wanted to be when he grew up. However, by the time he reached middle school, he was already thinking about environmental science because he wanted a career where he could be active, spend time outdoors, and help others. 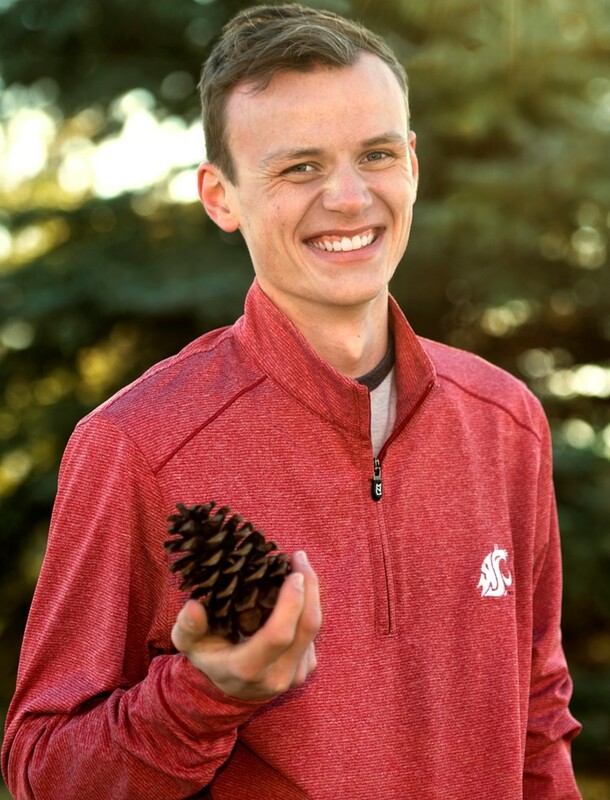 By his second semester at WSU, Alec had fallen in love with forestry and the friendly Pullman community. He’s been able to spend several years working as a summer assistant at the WSU Northwest Washington Research and Extension Center (NWREC) in Mount Vernon. He worked with the Vegetable Seed Pathology and Weed Science departments under Dr. Lindsey du Toit and Dr. Timothy Miller. While working at NWREC, Alec conducted field maintenance, data and sample collection, and sample and site preparation. In the lab, he prepared agar, plated specimens, recorded data and more. He also helped on projects like spinach seed diseases, and weed control in blueberries and spinach. Alec helped field and lab technicians, and graduate students, conduct their research. On occasion, he assisted in the Entomology and Small Fruits Pathology departments too. Alec offers the following advice to incoming students: “Get involved and find your community. It’s your responsibility to find events and activities. You will build lifelong friendships and a support group, and be able to explore your passions.” Alec has been in the Horticulture Club, Forestry Club, National Residence Hall Honorary, and ASWSU Environmental Sustainability Alliance. As part of the Residence Hall Association, he represents students and serves as the voice of residents on administration level committees. Recently, Alec was inducted into the Xi Sigma Pi international honor society, one specifically for those in the forestry or related fields. He graduates in May 2019 and has begun researching graduate schools with forestry programs. Alec wants to earn a master’s degree, perhaps a PhD. “My research emphasis,” he said, “will focus on forest health or social dynamics with forestry. I’m also thinking of attending law school, because I have always been interested in policy making in the environment.” Any course of action Alec takes, he plans to stay in the Pacific Northwest. Alec has earned numerous scholarships, including the Arthur F. Noskowiak Scholarship, an endowment established to support undergraduate and/or graduate students in the School of the Environment. He received the W. Nelson and M. McLeod Scholarship, and the Hancock Forest Management Scholarship, given by the second largest private forestland manager in North America. Alec received the Steffen Forestry Scholarship, established by E.H. Steffen who “fathered” the WSU Department of Forestry and Range Management. The scholarship recognizes Steffen’s desire to help students earn an education in forestry and range management. Alec also received the Lorry and Judy McCroskey Endowment and a Seattle Foundation Scholarship.